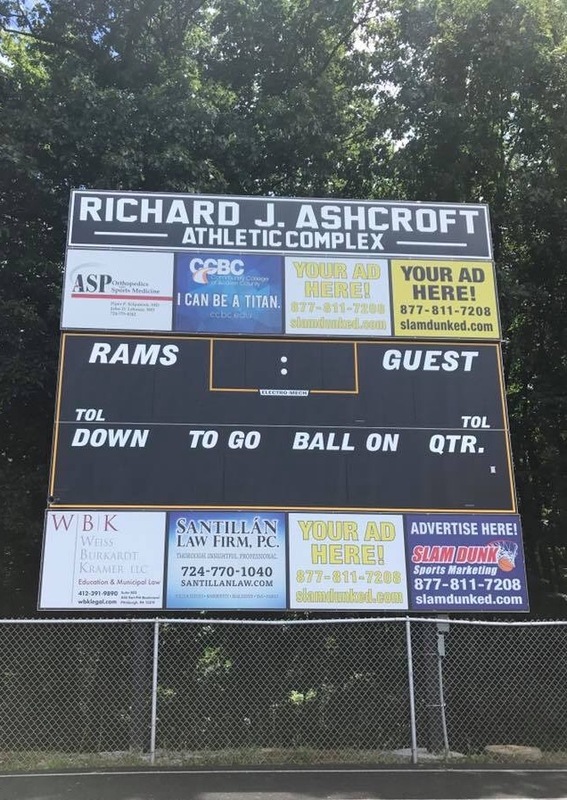 Recently the District partnered with Slam Dunk Sports Marketing to purchase a new scoreboard since the previous board became inoperable at the close of the 2016 fall sports season. The photo below showcases the new board that was made possible in part by generous sponsorship donations. Opportunities still exist for additional sponsors to be added. Sincere thanks and appreciation to those who contributed!